The Straw Hat crew have boarded upon the hype train for Star Wars’ latest movie ‘Star Wars: The Force Awakens’. The crew will be demonstrating it in a lead-n video playing ahead of Episode VII, which will open in Japan in December. As seen in the image below, we see some very popular characters. 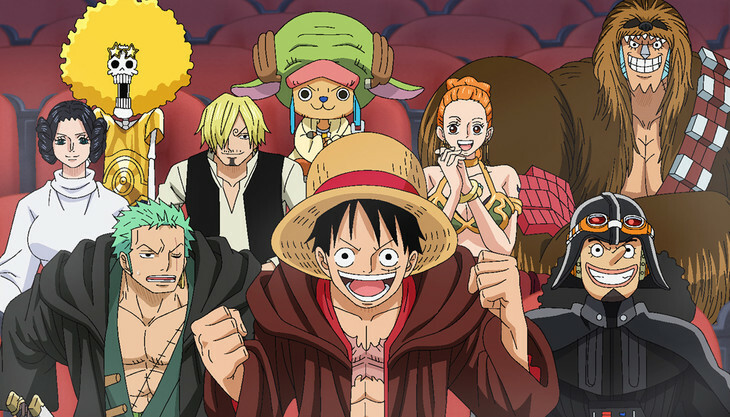 We see Usoop as Darth Vader, Robin as Princess Leia, Nami also as Princess Leia, Sanji as Han Solo, Chopper as Yoda, Brook as C-3PO, Franky as Chewbacca, Zoro as possibly Obi-Wan Kenobi, and Luffy as a possible Luke Skywalker. This image is awesome, it features a lot of members from the Star Wars franchise which I will enjoy watching. I can’t wait for it. 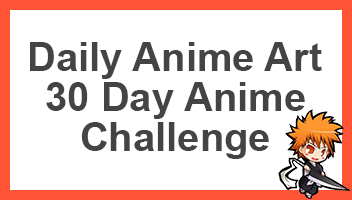 On top of which, if you like it be sure to tell us, otherwise go on ahead and share this with other fans of One Piece or Star Wars. This is so frickin’ cool! I love it more than the avengers one for some reason even though I’m a bigger marvel fan than Star Wars. Robin and Nami both as Princess Leia!!! SUGOI! Hahah yeah its pretty cool, I need to rewatch all of them before I watch this one. Same! I might skip the prequels though. Wow this is so cool. I like how they are dressed! I love Star Wars!